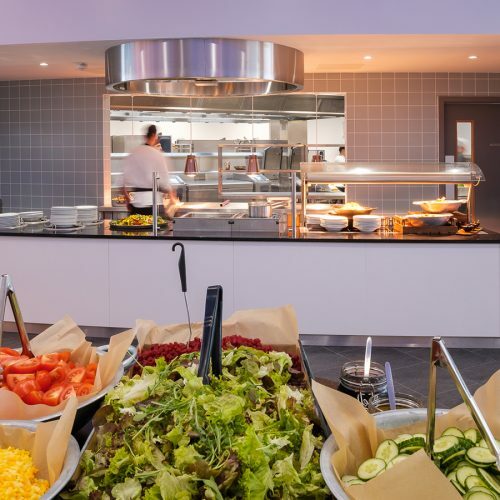 Whether you are looking to provide pupils and staff with healthier choices or need to update the canteen area where they take their breaks, Ceba Solutions project management team will help make your plans a reality. Schools, colleges and universities cater for 1000’s of students and staff members throughout the year. Often canteen space and kitchen areas are a little dated and can make the task of producing high volume meals much more complex than necessary. Ceba Solutions are able to expand into additional space, increasing the size and layout of the catering area as well as move the kitchen entirely to another area. We are able to deliver projects to the highest standard, supplying the best environmentally friendly equipment, reduce your running costs and your impact on the planet. Whatever your specification, we can help. Our experience within this sector means we are able to help provide storage, space and safety solutions to your catering requirements. 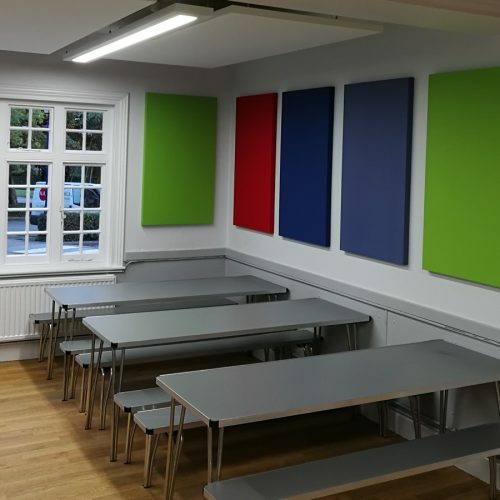 We don’t just offer commercial kitchen installation, we can also design and install new canteen space for students and staff members to sit and enjoy their meals. 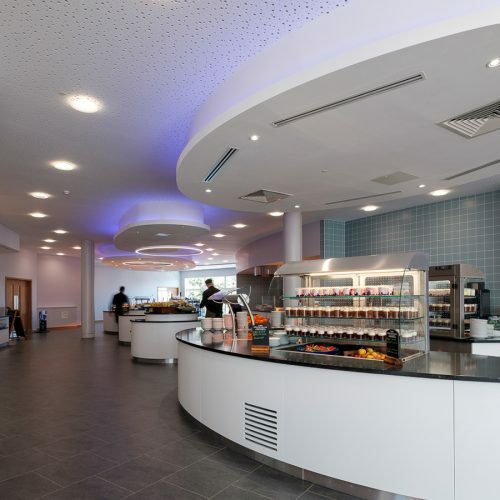 From soundproof panelling to bespoke lighting and self-catering stations Ceba Solutions project management team brings every element of the available space together, on time and within budget. Our team can also take care of plumbing and electrical works as well as other installations such as ventilation, flooring, furniture and catering equipment. As a client of Ceba Solutions, you will be provided with a project manager who will be your first point of call throughout the project, from initial site visits to meetings to project completion. At inception, we will produce a high-level design of your space using the latest CAD design software, created by our experienced in-house commercial kitchen designers.